Passengers in Guadalajara complain of high prices, poor service and unsafe conditions. With almost half the population living in poverty, public buses are the only viable means of transport for many Mexicans. But serious concerns have arisen over the safety, quality and cost of public transport in Guadalajara, Mexico’s second biggest city, where bus drivers complain of exploitation and the number of bus-related deaths is alarmingly high. 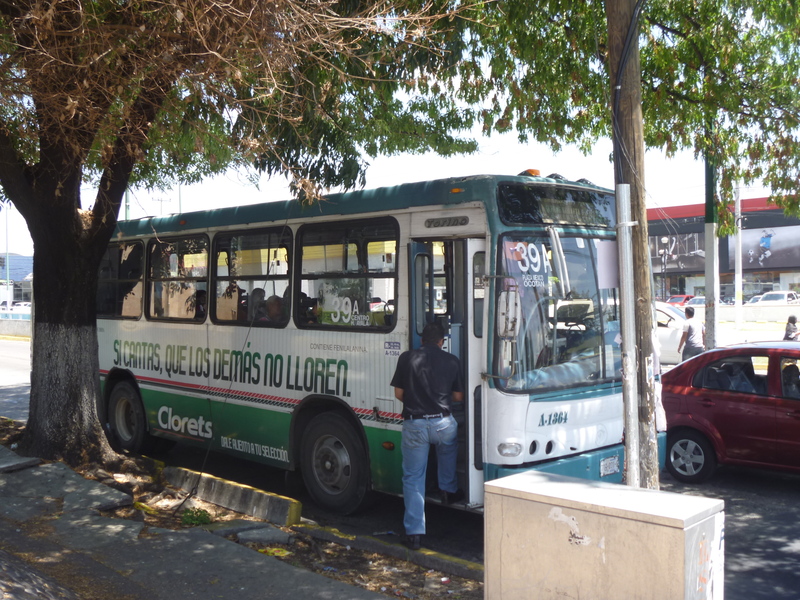 There are no national records, but the Jalisco Attorney General’s Office says that from 2007 to 2013 there were 317 fatalities involving public transport in Guadalajara alone. Of the 224 bus drivers charged with causing these deaths, 82 were convicted. “It’s a very grave problem,” Oscar Mora Esquivias, legal director of public transport in Jalisco, told Al Jazeera. “Public transport was not necessarily responsible” for every fatality, Mora stressed, but he admitted that most of Guadalajara’s 5,300 buses are dated and do not meet international standards… Click here to read this feature in full over at Al Jazeera.